LU-Smart boasts an attractive new GUI with restructured menus, superior camera features, including auto focus/manual focus, exposure control and grid, and support for bluetooth audio devices. The mobile app bonds internal Wi-Fi and cellular connections to reach optimal video quality. LU-Smart supports the most popular iPhone and Android phones. 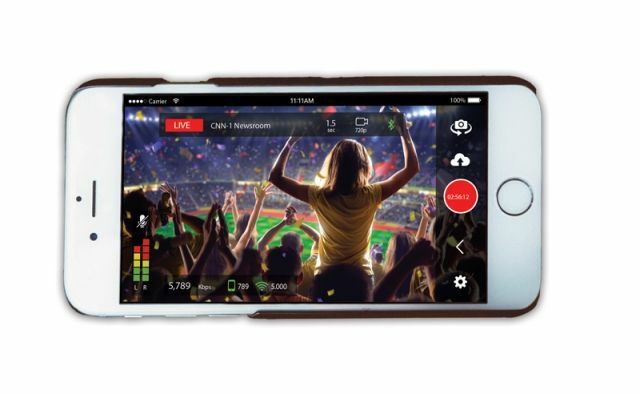 The LU-Smart enables high-quality, reliable live video transmission on-the-move. Operators can combine available networks to support connection to an external MiFi, enabling the bonding of two cellular connections in a single smartphone. In this way users can bond the phones' internal 3G/4G with external 3G/4G for a very fast uplink. The LiveU Go-Plan gives broadcasters the opportunity to maximize their content gathering potential by providing LiveU software access to unlimited users within the organization. Broadcasters are able to purchase a pool of data every month for use among as many LU-Smart, LU-Lite and integrated Panasonic devices as they need. Now everyone, from production assistant to journalist to camera person can go live at anytime from anywhere in the world.